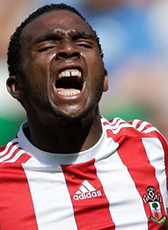 Cuco Martina made a remarkable move, leaving FC Twente for Southampton in the summer of 2015. Martina became the second ever Curacao international to play in the Premier League. In two seasons Southampton, he played 36 matches. When his contract expired he was signed by Dutch coach Ronald Koeman Everton. Martina signed a 3-year contract until 2020. In January 2019 he moved for the rest of the season on loan to Feyenoord Rotterdam.